A number of people wish to buy SUVs either to accomodate a large family or explore uncharted terrains, but many are restricted by their budgets, which often makes them turn to compact SUVs. On the flipside, many small car buyers decide to increase their budget as compact SUVs seem to present a much better option at a slightly increased cost. The question in both the case is, are they worth the money? While you can always get your hands on affordable SUVs and compact SUVs at a reputable salvage car auction website such as AutoBidMaster.com, it is just sensible to know what lies ahead. Continuing the discussion, in this blog, we examine compact SUVs on various key parameters. Read on. Compact SUVs offers everything an SUV can offer at substantially lower prices. A few features include high ground clearance, large cargo space, great legroom, and a large motor. Although compact SUVs offer similar features as full-sized SUVs; when it comes to price, compact SUVs are much easier on the pocket. Although you can find SUVs or even hatchbacks with as much as 80 cubic feet of cargo space, compact SUVs are manufactured to offer an average cargo space of 75 cubic feet or more. In addition to large cargo space, compact SUVs also offer larger legroom and headroom, making them ideal for tall people. Road view is generally proportional to wheel size. Hatchbacks and SUVs come with wheels that have an average size of 13” to 15” and 17” to 19”, respectively. Compact SUVs, on the other hand, come with 16” to 18” wheels. If you are looking to buy a salvage car that offers a great road view, but cannot afford an SUV, compact SUV would be the next best option. Compact SUVs are designed to match the style attributes of full-sized SUVs. Usually equipped with broad and wide front grilles, compact SUVs roll on fairly large sets of wheels that give them a bold and modern look. Compact SUVs are definitely worth your money when it comes to design and appeal. 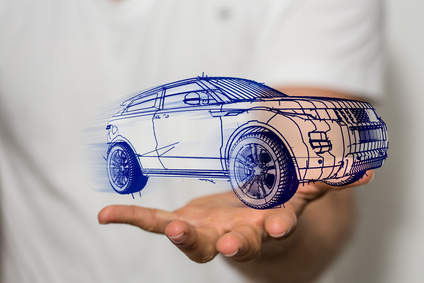 Whether you are looking to buy a new or salvage car, compact SUVs offer almost all the features of full-sized SUVs but fall short in terms of cargo space and road view. If you’re looking for compact SUVs, your search ends here. AutoBidMaster has a wide pool of vehicles from which you can choose your dream car. We give you the required information, such as estimated repair cost, damage type, and other relevant information regarding a specific model. If you have any questions, simply call +1 (503) 298-4300 or fill our contact form and we will get back with you.